Oklahoma City is a shining star in central Oklahoma. Its residents are very proud, and they love showing off to all who come to visit. Here are some reasons to make this your vacation destination. Lovers of history will enjoy travel throughout this area. Two specific locations chronicle both the high and low points of the city. In April of 1889, land not designated for any Native America tribes became available for settlement. This historic event, known as “The Land Run”, enabled thousands of people to put down roots in what would eventually become Oklahoma’s capital. The area’s population continued to increase and in 1907, Oklahoma became the 46th state in America. In commemoration of the original settlers, amazing sculptures are in the works called The Centennial Land Run Monument. 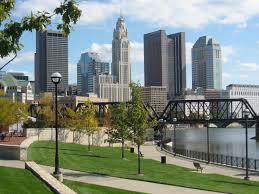 Scheduled to be completed in 2015, the monument encompasses a 365 foot area near downtown. The bronze life-size statues, including horses, wagons and cannons, makes that moment in history really memorable. It is a must see when you come here. More recent history took a tragic turn with the bombing of the Alfred P. Murrah Federal Building in 1995. The Oklahoma City National Memorial and Museum takes visitors on a journey from the day of the event through the days, weeks and years that followed. The outdoor memorial is a place of peace and solitude and is open to the public 365 days a year. There are approximately 4200 acres of parkland here. 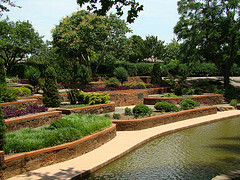 Several locations, open to the public, emphasize the horticulture of the area. The Will Rogers Gardens offer spectacular displays of vibrant color flowers and plants. Visitors can stroll around the park and among these gorgeous exhibits of blossoms and greenery. The Charles E. Sparks Rose Garden is home to over 80 varieties of these gorgeous flowers. Sitting adjacent to the rose garden sits The Margaret Annis Boys Arboretum where native Oklahoma trees mix with specimens rarely found in this area. The Civic Center Music Hall is the site for numerous plays and musical performances. Renovated several times over the years, it is now known as one of the finest acoustical locations in the United States. The Carpenter Square Theater offers unconventional one-man shows, comedy and musical plays. The Oklahoma Ballet began in 1963, and over the years has featured performances from ballet greats such as Mikhail Baryshnikov and Rudolf Nureyev as well as more contemporary performers from the New York Ballet. The OKC Philharmonic has been featuring outstanding symphony performances since 1988 and often features individual musicians such as cellists, violinists, and pianists as well. The National Cowboy & Western Heritage Museum has thousands of unique Native American artifacts and Western art works on display. The American Banjo Museum is an exhibit of over 300 banjos. It promotes one of the most recognizable instruments and musical style reminiscent of the old west. The Oklahoma Railway Museum is a great place for train enthusiasts of all ages. Train rides, including special holiday events, are offered here. There are several types of accommodations to consider when planning to travel here. There are numerous hotel rooms available throughout the area in downtown locations and in more fringe areas. All of the popular hotel chains are represented. For those who prefer a more intimate setting, there are several bed and breakfast sites here as well. The culinary choices here are endless. Enjoy a juicy burger at Nic’s Grill or a terrific seafood dinner as you marvel at the sunset from the patio at Flints. Cattleman’s Steakhouse is for meat lovers while southwestern flavors abound at Big Truck Taco’s. Whatever type of food you are longing for, Oklahoma City has great restaurants to meet your needs. 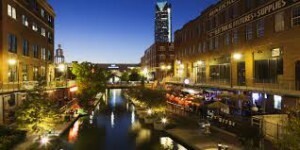 Oklahoma City is a treasure trove of historic places, the arts, recreation and culinary delights. Don't miss an opportunity to visit, and see what this vibrant place has to offer. It is the perfect destination for your next vacation. What festivals are held there? There are several festivals held throughout the year. Twice a year in February and October, An Affair of the Heart craft show is held at the State Fair Arena. It is one of the largest shows of its type and features over 800 crafters. The Oklahoma Regatta Festival is a five day event spotlighting water sports such as kayaking, rowing and dragon boating to name a few. It is fun for the entire family with a children’s play area, fireworks and live music as well. Will Rogers World Airport is located approximately seven miles away. The Wiley Post Airport is seven miles to the northeast and accommodates mostly corporate travel.